Sold: Hong Kong Hustle Magnets: Fun Fridge Magnet designed by Baltimore Artist Pamela Miller. Great gift idea! Thank you John in mo for your purchase! Do you collect refrigerator magnets? 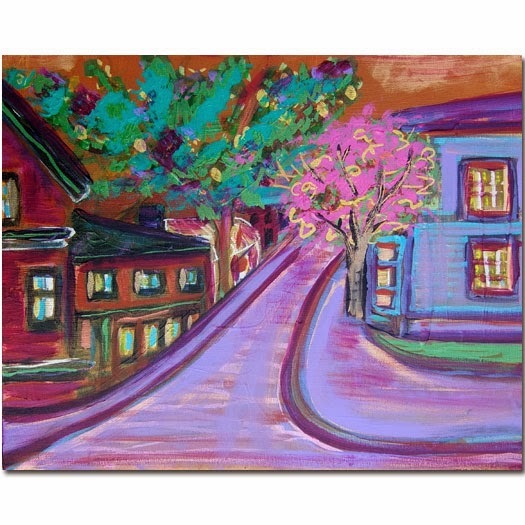 Looking for a fun gift that features a cityscape painting by Baltimore Artist, Pamela E Miller? 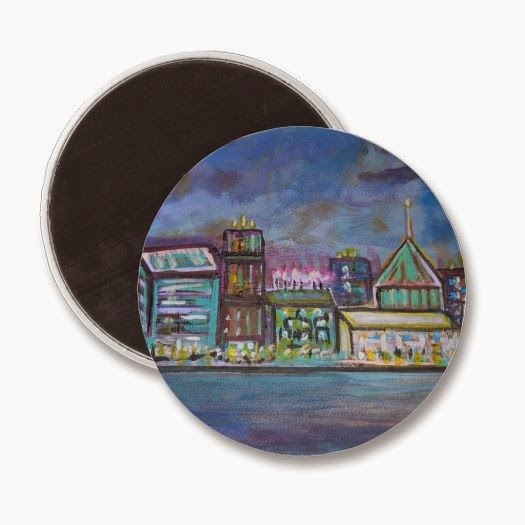 You can own this unique, colorful cityscape art magnet by clicking the link below. Check out our other fun merchandise as we grow. Did you know that you can purchase many different items that feature my original abstract paintings? I really have been itching to see how my painting, “Fall Happy Hour” would look on an iPhone case because I think it would make a really unique gift for that special someone or a great gift for yourself. So what do you think? You can click on the picture below to purchase. I am trying out the new templates for blogging. 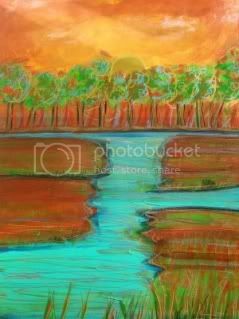 Once I get my feet wet here I hope to show everyone some great original abstract paintings, fine art prints and merchandise. I will also be sharing information on collecting original abstract art, buying fine art prints and buying fun products that feature original artwork. I also love interior design and will be sharing information and sites about that as well. This painting is part of an older series called "Kung Foo Circles". I have always admired martial arts and Asian mythology, primarily because of the themes. True Love, Perseverance and Self Sacrifice, Good Deeds and Rebellion against Oppression all are embodied in the martial arts and in the myths of many Asian countries. One belief that is a common thread in Pamela’s Kung Foo Circle Series is that animals have human qualities and fighting styles that we mere humans long to possess. For example, in order to survive in the wild, animals evolved natural fighting skills and in martial arts it is believed that emulating these skills will assist in helping one to prevail in combat. It is also believed that certain animals have human qualities we all desire. Butterflies can bring flight and longevity. Tigers are graceful, powerful and deadly. Dragons have supernatural powers and deep wisdom. “Art for Charity 4th Quarter – A Benefit for the Foundation for BCPL"
Already thinking about holiday shopping? A beautiful piece of artwork makes for not only a wonderful gift, but its purchase can also benefit a great cause – the Foundation for Baltimore County Public Library! 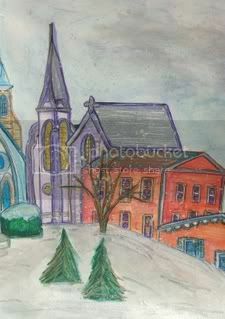 Local artist Pamela Miller has very generously selected the Foundation for BCPL as her designated charity for the entire 4th Quarter of 2009. 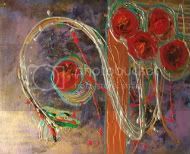 For the months of October, November, and December, 30% of all sales** made on www.pmillerabstractart.com (and at the artist's discretion, her other discount outlets) will go to the Foundation for BCPL. After a successful career in technology, Pamela Miller became a full-time artist in 2006, and launched “Art for Charity” this year. The Foundation for BCPL is very grateful to be among the first beneficiaries of this fantastic initiative. Please consider patronizing this talented artist by visiting her website – www.pmillerabstractart.com. For more information, please contact BCPL's Julie Dreisch at (410) 887-3282 or Miller Modern Art's Pam Miller (410)581-2658. I'm really excited as I am being featured in an Etsy treasury called Happiness Factor. My painting, Happy Hour Low Tide is the painting which was selected. 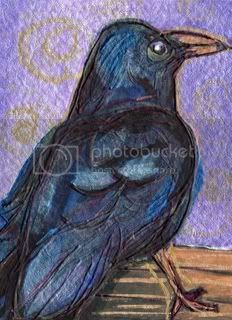 I like the title of this treasury because it really touches on what I strive to share with people through my artwork. Owning something because it gives you pleasure, living life now and striving to do things that bring you and your loved ones happiness and getting rid of negativity. All of these factors are important to me in my own life and are elements of the paintings I create. I'd love to hear your thoughts about art, happiness and of course this very nice treasury!